Clive Thompson LRPS Photography: Church House Inn, Church Walk, Stoke Gabriel TQ9 6SD around 1974. 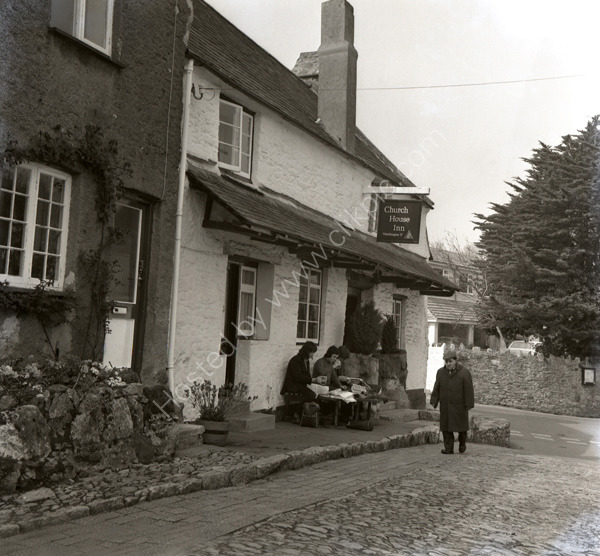 Church House Inn, Church Walk, Stoke Gabriel TQ9 6SD around 1974.
the Church House Inn at Stoke Gabriel, Devon TQ9 6SD around 1974. Hikers are sat outside drinking beer from handled glasses and consulting their maps while a local passes oblivious to them. For commercial use of this photograph please visit www.alamy.com and search for A691J8 but for a one off print, please see below.